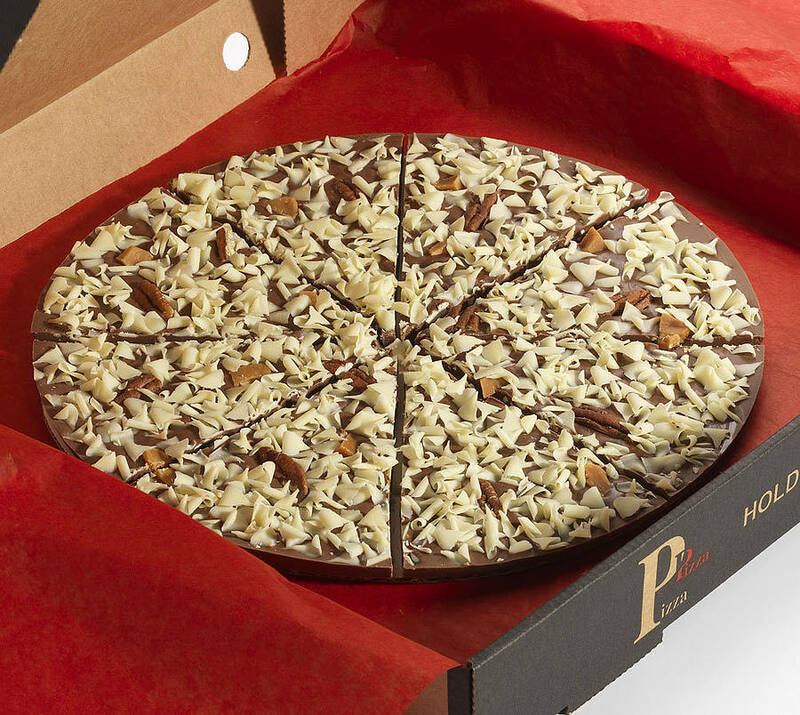 Go nuts over our Gone Nuts chocolate pizza ! The solid Belgian milk chocolate base is topped with whole hazelnuts and chewy toffee finished with our white chocolate curls - sooo delicious ! Our chocolate pizzas are the perfect chocolate gift to delight all chocoholics. Delivered.... in an authentic pizza box ! Suitable for a vegetarian diet. This product is contains nuts. This pizza has a shelf life of 6 months. Toffee: sugar, glucose syrup, sweetened condensed milk (whole milk, sugar), palm oil, butter (milk), margarine (palm oil, rapeseed oil, water, flavouring, sunflower oil), invert sugar syrup, salt, flavouring. This product has a 6 month shelf life. Store in a cool dry place. 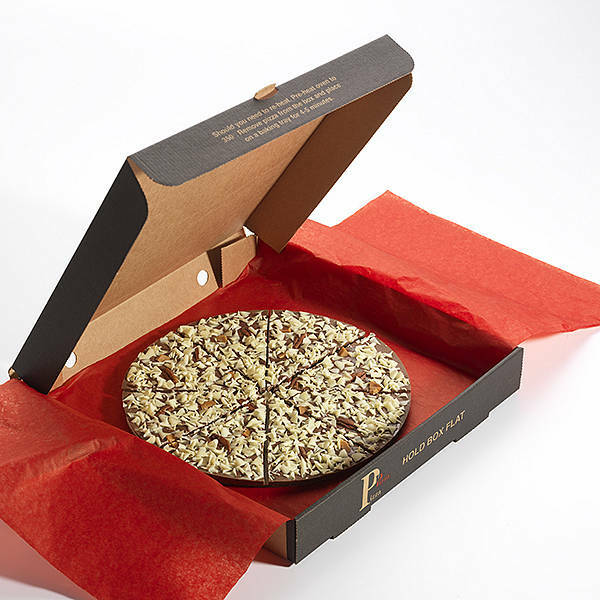 The 7" pizza comes already cut into 8 slices, if you would like a little more, we have our 10" also cut in to slightly larger 8 slices and our 12" pizza comes cut into 16. Please note: Last orders for Christmas will be taken on December 18th for Royal Mail delivery or December 19th at midday for express deliveries. Orders after this time will be despatched but cannot be guaranteed to arrive for Christmas.